The widespread appearance of frogs with deformed bodies has generated much press coverage over the past decade. Frogs with extra limbs or digits, missing limbs or digits, or misaligned appendages raise an alarming question: "Are deformed humans next?" Taking a fresh look at this disturbing environmental problem, this reference provides a balanced overview of the science behind the malformed frog phenomenon. 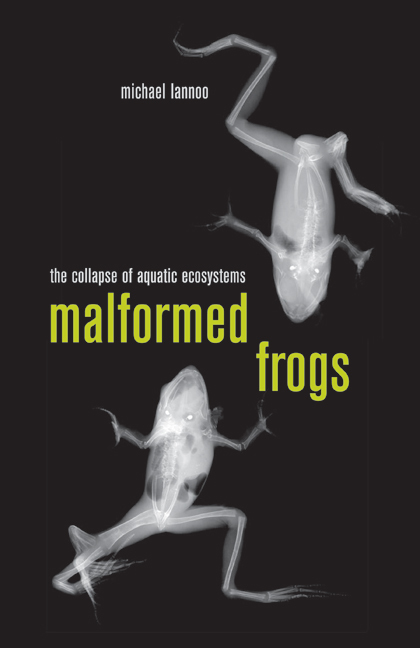 Bringing together data from ecology, parasitology, and other disciplines, Michael Lannoo considers the possible causes of these deformities, tells which frogs have been affected, and addresses questions about what these malformations might mean to human populations. Featuring high-quality radiographic images, Malformed Frogs suggests that our focus should be on finding practical solutions, a key component of which will be controlling chemical, nutrient, and pesticide runoff into wetlands. Michael Lannoo is Professor at the Indiana University School of Medicine and editor of Amphibian Declines: The Conservation Status of United States Species (UC Press).